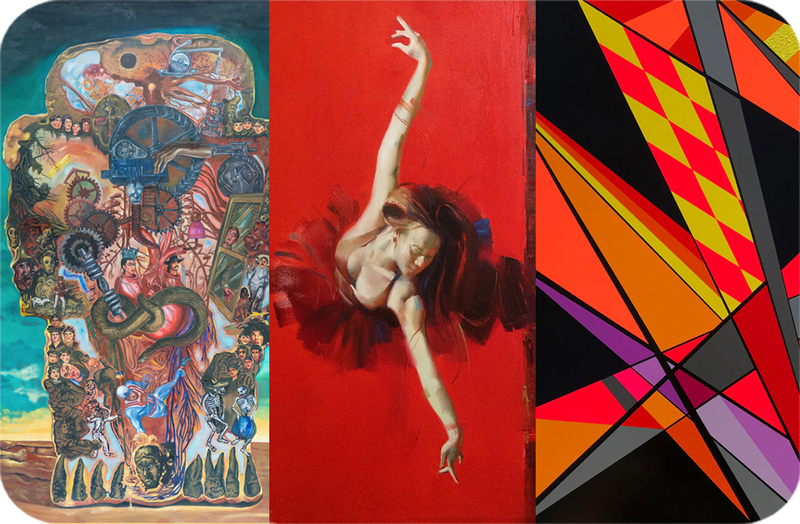 In celebration of Chapter Two of our 2018 Gallery Selections Exhibition, Sparks Gallery will host an evening of artistic creation on Saturday, August 25th from 6pm – 9pm. Live painting and a fresh look at new works from each of our six featured artists are all part of the evening’s festivities. Join us to explore surrealist collage by Perry Vasquez, Fibonacci-inspired painting from Paul Hobson, Khalid Alkaaby’s arresting nudes, new illustrations inspired by the “wild women” mythology from Marissa Quinn, Brady Willmott’s enigmatic oil paintings, and the West Coast debut of Monty Montgomery’s Kaleidoskull collaboration with Tony Philippou. Wine sales from opening reception to benefit Computers 2 SD Kids.